Today in Northern Ireland the media is celebrating Red Nose Day. Money is raised for charity by celebrities doing fun things. There will be plenty of buzz on the radio and TV to distract people who are annoyed with others who go on strike. It is also the day the Unions for Public Transport Workers, Teachers and Health Care Workers called a strike in protest for more pay. Don’t we take for granted the services we enjoy, until they are not there and only then we appreciate the service they provide. 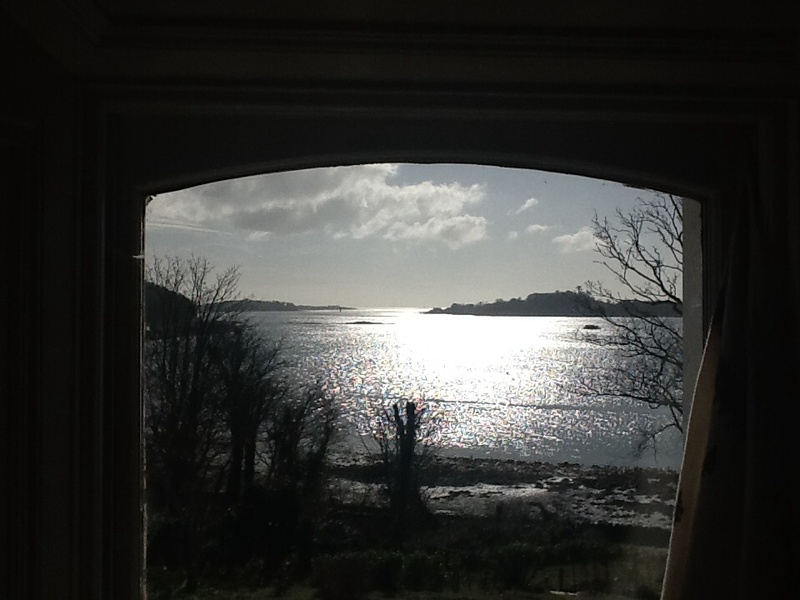 From the front of our home we look out on Strangford Lough. We see the Strangford – Portaferry ferry cross over the channel ever fifteen minutes. Today there is no sign of the boat. I feel lonely and bereft. I miss the security of the ferry. I love to see the boat cross, regular as clock work from seven thirty am till eleven pm. When we are taking a trip into town we have to take the ferry. We can leave the house a few minutes before the ferry is due to leave the port. We get there on time. No waiting around. We cross over on this ferry often. When we were moving house here a few months ago, one of the workers on the ferry said to my husband, “You will soon own this ferry with all the money you are spending.” My daughter stayed here a few weeks ago. She said the ferry was company as she watched it lights as it moved to and fro across the lough. There were lights even though it is not Christmas. There have been storms this week. The ferry stills works even through gales, snow and chilling winds. Often the men’s hands and faces are blue from the cold, as they collect the fare. The weather does not stop them being cheery and give a pleasant greeting. But today they are having a day off, even though they are taking unpaid leave. They deserve a reward for the service they provide. Thank you. The sea is calm, the sky is bright, no dark clouds or cold winds. There is no activity beyond on the channel of Stranford Lough today. There is no chug chug from the diesel engines. Only the sound of birds shrilling in the warm sunlight. Today is one of only a few days that the ferry does not operate. I am so thankful for this service. God bless the workers today.